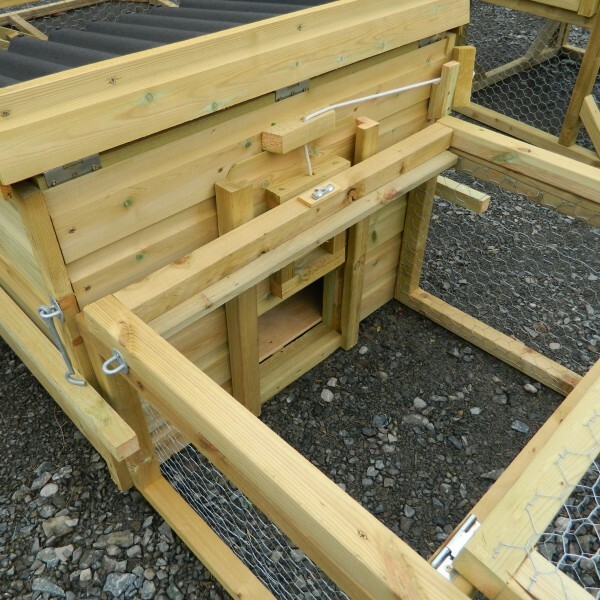 The Broody Coop is a fantastic little coop with a run attached. 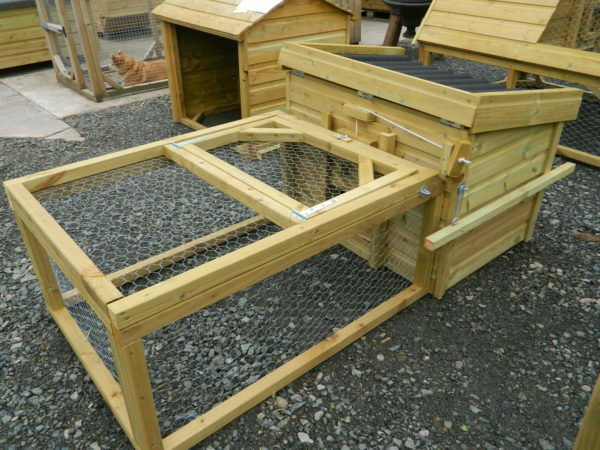 Perfect for your expectant Mother Hen, first time poultry keepers or if you have limited space! 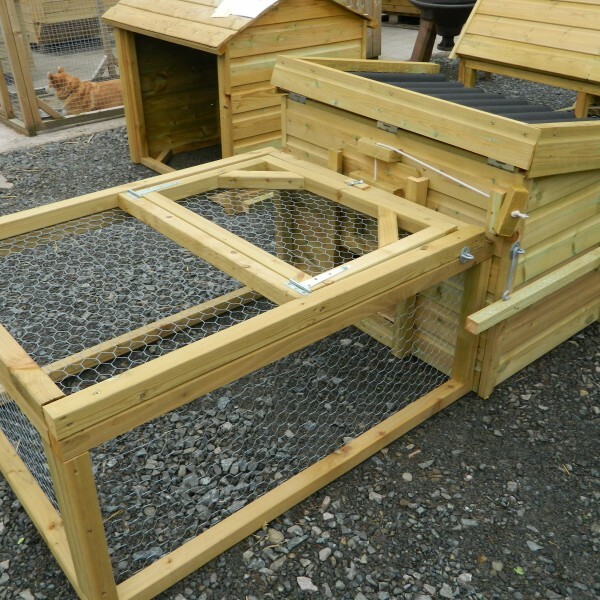 Also suitable for a few ducks, bantams, quail, guinea pigs and rabbits etc. 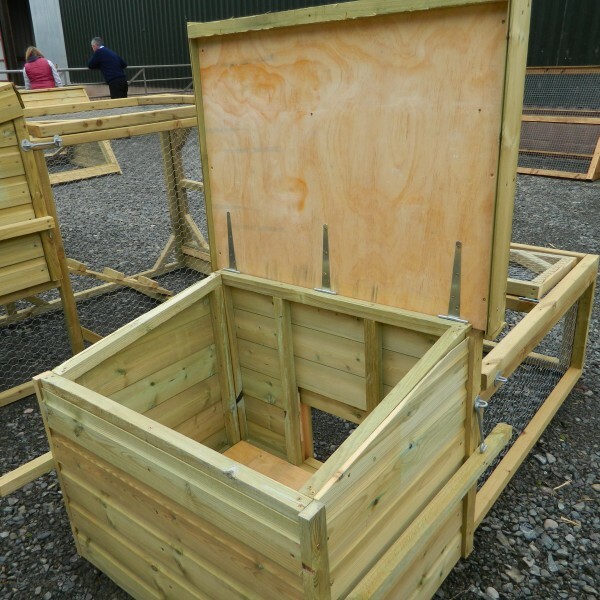 Hand-crafted on site, using pressure treated timber and glavanised mesh, by one of our own craftsmen. 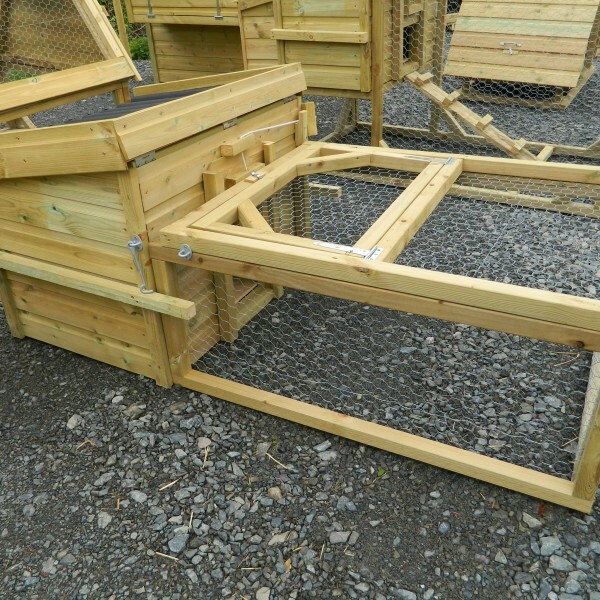 Once purchased, the Broody Coop can be either be collected, or delivered either via our onsite carpenter or via a haulage company.